Another question from my final exam in Theology 331, Jesus Christ, Liberator, asked us how we might celebrate the birth of the Christ child differently this year after being in this class. Here was my answer. 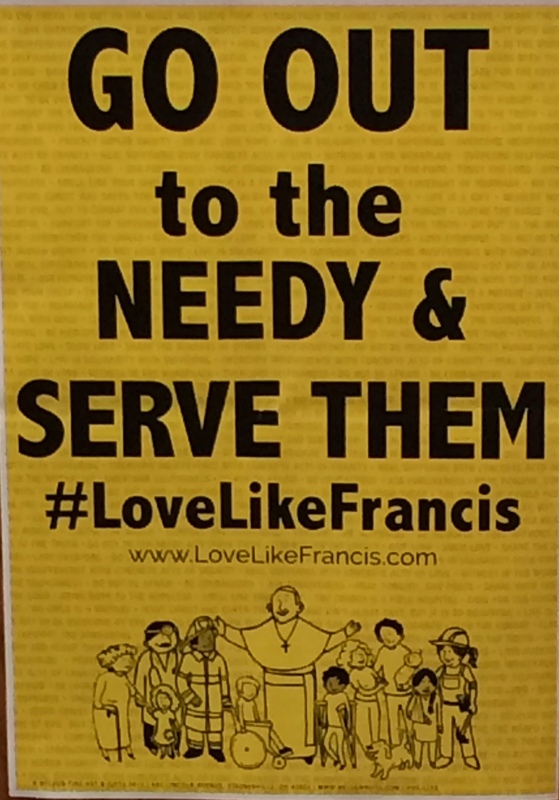 As a family of people who profess to follow Jesus – Christians – we act in faith and hope and love. These virtues are the highest exercise of our humanity, and in them we participate in the very life of God. But what does this look like for us as we look ahead to Christmas? Do we just believe that Jesus was incarnated so we could have a new television? Is that all we hope for on December 25? Is that how we show our love for each other as husband and wife? Is it so small? This Christmas we need to seek more deeply what it means to be human persons beloved by God so much that he would share this human life. It begins in prayer. Not the prayer that says, “Bless us Father with all good gifts, especially the 55” one,” but the one that draws us to the foot of the cross and centers us in this reminder of how much he poured out his love for us. Let us pray that our lives would be poured out for each other and for the sister we share this home with. In the light of a candle burning, let us look around at each other’s faces and see the gift of each one and our need for each other. We cannot do this alone, but only together. As we come together at the supper table, we can break the bread and drink the cup in communion as we remember what Jesus taught here: in the broken bread and poured out cup, he is there, and we share it together. In this sacrament of meal, our lives are joined in a dance of humanity and divinity. The only cookies we make this year shall not be a sugarfest of over-consumption, but a reason to walk the neighborhood and share this gift of love in the form of food with those around us. To counter the culture that says BUY! BUY! BUY!, that is what makes for a good solid marketing dream of Christmas, we shall expend our resources in ways to benefit the poor and outcast in our community. The opportunities to provide for the homeless and helpless are the messages we will look to. 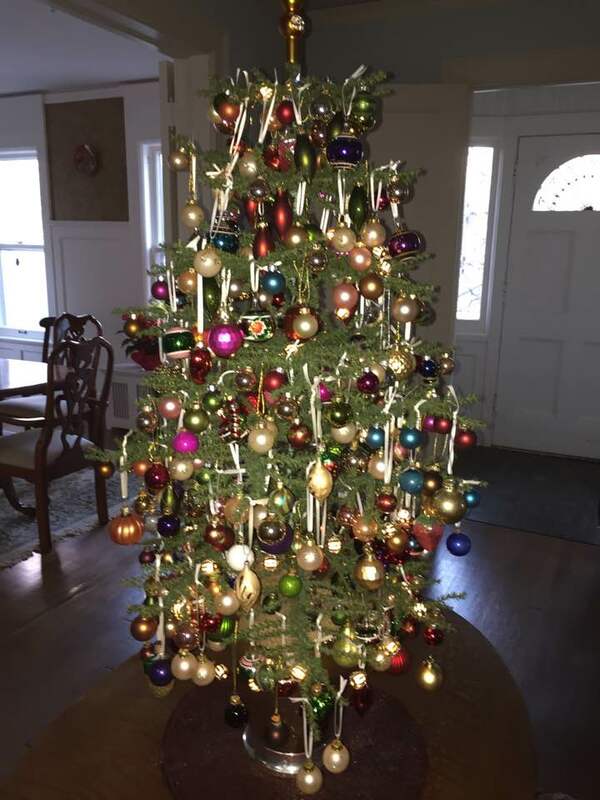 Instead of presents under a tree in the living room, we will mark each ornament as a gift we have made to someone in the name of love. Here is the one for Wendi who needed a ride to Bible study. Here is the one for Verda Leigh who needed a weekly phone call to remind her that God loves her. Here is one for the gift to Bread for the World, to remind ourselves that advocating for the voiceless is a joy to participate in. Here is one for Amariah, in the hope that she is back with her family in California after a long bus ride from Omaha. And we will mark the eve of Christmas in worship as we share in song and word with those who have shared our lives, who have mourned with us and rejoiced with us and listened to us unburden our hearts for people living in war in Syria and Iraq. I first traveled to the Middle East, Syria specifically, in August, 2010. This was before the war in Syria, and the country was intact. Muslims and Christians lived together in a secular, mostly peaceful society. I visited a number of places, and one that struck me deeply was St. Simeon, the ruins of a fifth century church near Aleppo built around the pillar that St. Simeon the Stylite sat on for most of his life, praying to God. I had quiet moments of contemplation as I thought about this saint and his life and his attitude of prayer. But the highlight of my trip in 2010 was a visit to Aleppo and the Presbyterian church. This church had an amazing outreach to refugees from the American-led war in Iraq, which had begun in 2003. I met a woman named Nawal, a faithful and prayerful saint of her church, who chastised us (and rightfully so) for what our country had done to the Iraqi people. I have never forgotten Nawal, and had the chance to reconnect with her this past summer in Lebanon, but I will reflect on that later. We also had the chance to share a meal with an Iraqi refugee family in the less than modest apartment they could afford. As a member of a group of women traveling together to learn about our sister Presbyterian church in Syria, we were each given the opportunity to lead devotion. I had chosen this passage in Acts: “All who believed were together and had all things in common; they would sell their possessions and goods and distribute the proceeds to all, as any had need. Day by day, as they spent much time together in the temple, they broke bread at home and ate their food with glad and generous hearts, praising God and having the goodwill of all the people” (2:44-47a). As I began to read, I was overwhelmed with tears and could not get through to the end. Hearing Nawal’s words to us about what we had done to the Iraqis, being welcomed into the home of an Iraqi refugee family who shared the bounty of their poverty with us in the hospitality that is the hallmark of Middle Eastern culture, I was utterly convicted of the corporate sin my people committed against the Iraqis. It was this memory that grabbed my heart as I read the readings for this class. Who would not for the bitterness of tears. In his gospel, Luke tells us that a woman (possibly Mary Magdalene) who was a sinner, washed the feet of Jesus with her tears and dried them with her hair in an act of repentance (7:37-38). Mary of Egypt tells us, “Thus I understood the promise of God and realized how God receives those who repent…‘you will find rest.’ When I heard the voice say this, I believed it had come because of me, and I cried out weeping…” As she tells Zossima her story of her prostitute’s life and the temptation to return to it she tells him, “When such thoughts grew in me, I would fling myself on the ground and flood the earth with weeping.” When she asks Zossima to pray for her, he falls to his knees and his prayers and tears flow together. Sweet tears of imperfect love: These are the sweet tears of those who have abandoned sinful ways and are beginning to serve God because they have begun to know and love him; however, their love is still imperfect, causing their tears to be imperfect as well. The person’s life is then characterized by exercising virtue, acknowledging God’s goodness, practicing self-discovery in the light of God’s goodness, and moving away from fear and toward hope in God’s mercy. Sweet tears of perfect love: Perfect tears of mature love come from those who have developed perfect love for their neighbor and learned to love God without regard for themselves. These are the people who live the words of the Great Commandment: to love God with all your heart, mind, soul and strength; and to love your neighbor as yourself. 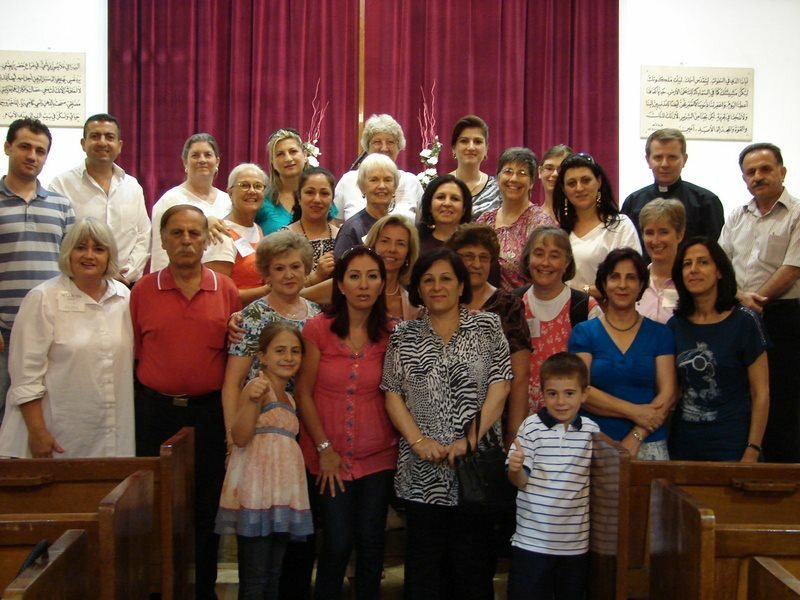 With the Presbyterian church in Aleppo, Syria, August, 2010. So as I end this reflection, I want to return to my story of Nawal in Aleppo. Sitting on the porch of the Carslow Building at Ain Al-Kassis (which translates to “fountain of the father,” an appropriate description for how my tears flow!) 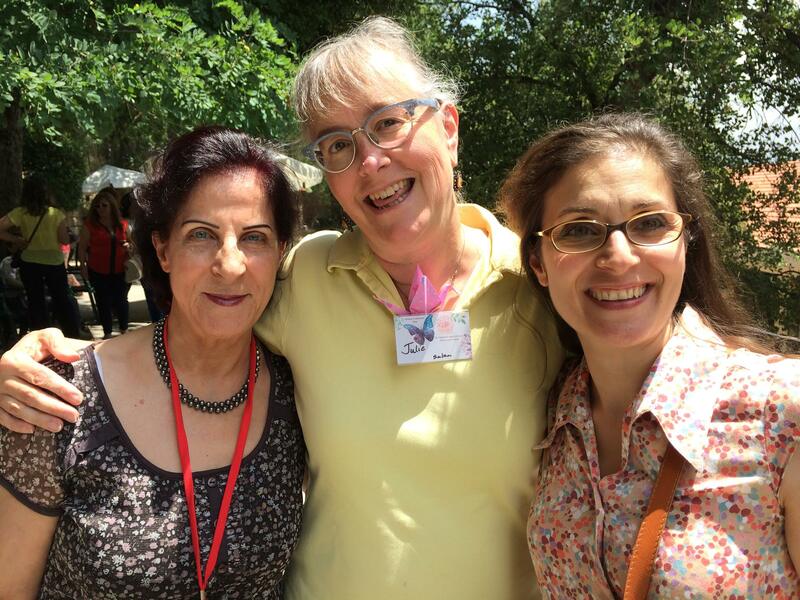 in the mountains above Beirut, Lebanon, I was waiting for some of the Syrian women to arrive for the annual gathering of Presbyterian women in the Synod of Lebanon and Syria. A young woman came and sat on the porch with me, and as it turned out, we were Facebook friends although we had never met. Her name is Nisryn, and she lives in Paris, France. She had come to the conference because her mom was making the long and dangerous journey from Aleppo to be there as well. She told me it had been six years since she had seen her mother. As we sat and talked, I realized who the woman she was talking about was. “I know your mother!” I exclaimed. I jumped up to get my laptop and found this picture from my 2010 trip. I am standing behind the little boy in the front row, and Nisryn’s mom Nawal is to the right of me in the blue dress. Nisryn’s mom is the same woman who gave me pause to weep as I read the text from Acts about sharing everything, and no one was in need. She was the woman who showed me what the hands and feet of Jesus look like when serving the refugees of war. And now she was living in Aleppo still, a victim of another war and was coming to experience Sabbath at the women’s conference. Here I was, sitting with her daughter, and together we prayed at the fountain of the father for her safe travel…and our tears flowed as we came into the presence of God together and brought Nawal there with us. It is only because we long for the presence of God, for a glimpse of his perfect beauty, for holiness, for ceaseless prayer, for union of love, for Paradise, that our hearts break with sadness when we realize how far away from it we are. It is this sadness – this “affliction” – which, I think, the Fathers called “compunction” and why they called the life of prayer – the life of trying to pray – “white martyrdom” – a way of pain. Without the longing, without repentance, without the breaking of the heart, there can be no practice of prayer and no true prayer on earth at all. These two weeks of reading the stories of the desert fathers and the harlots of the desert have touched a deep place in my heart. The message I took was so clear. My life of praying with tears is a gift I take with me in my experiences of ministry with and for the people I am privileged to journey with in Lebanon, Syria and Iraq. In repenting – in turning to God – in this way, I am my true self. I have found my heart, and it has been softened with tears of mercy and compassion. I know I have many more to shed. Kangas, Billy. “The Role of Tears in the Spiritual Life: Lessons from the Desert Fathers.” The Orant. Entry posted May 2, 2011. http://www.patheos.com/blogs/billykangas/2011 /05/the-role-of-tears-in-the-spiritual-life-lessons-from-the-desert-fathers.html (accessed November 2, 2016). Sheetz, Jenny. “The Gift of Tears: A Reflection.” stjosephinstitute.com. http://www.stjosephinstitute.com/_Assets/pdf/jennysheetz/The%20Gift%20of%20Tears.pdf (accessed November 2, 2016). Stewart, Columba. Prayer and Community: the Benedictine Tradition. Maryknoll, NY: Orbis Books, 1998. Ward, Benedicta. Harlots of the Desert: a Study of Repentance in Early Monastic Sources. Kalamazoo, MI: Cistercian Publications, 1987. Zeleski, Irma. Encounter with a Desert Mother, 108-126. Benedicta Ward, Harlots of the Desert: a Study of Repentance in Early Monastic Sources (Kalamazoo, MI: Cistercian Publications, 1987), 20. Billy Kangas, “The Role of Tears in the Spiritual Life: Lessons from the Desert Fathers,” The Orant, entry posted May 2, 2011, http://www.patheos.com/blogs/billykangas/ 2011/05/the-role-of-tears-in-the-spiritual-life-lessons-from-the-desert-fathers.html (accessed November 2, 2016). Jenny Sheetz, “The Gift of Tears: A Reflection,” stjosephinstitute.com, http://www. stjosephinstitute.com/_Assets/pdf/jennysheetz/The%20Gift%20of%20Tears.pdf (accessed November 2, 2016), 1. Irma Zeleski, Encounter with a Desert Mother, 110. Columba Stewart, Prayer and Community: the Benedictine Tradition (Maryknoll, NY: Orbis Books, 1998), 49.